In 1985, Robert (“Bob”) and Mary Harvey opened Auto Frame Specialists at the end of Lake Street in Hortonville, WI. For 20 years, Auto Frame provided expert frame repair, precision alignments, and quality suspension repairs to the residents of Hortonville and the Fox Valley. Over the last 30 years, our community has grown, and so has our shop. In January of 2006, we moved into a new state-of-the-art, full-service auto repair facility located at 330 East Main Street in Hortonville, and became AFS Service. We're still Hortonville's alignment and suspension experts, but now we're equipped to handle all the automotive services you need! AFS Service is truly a full-service auto repair shop. We have the knowledge, tools, and experience to handle diagnostics, brakes, exhaust, flushes, heating and cool system repairs, tires, tune-ups, and oil changes for a variety of vehicles, both foreign and domestic. 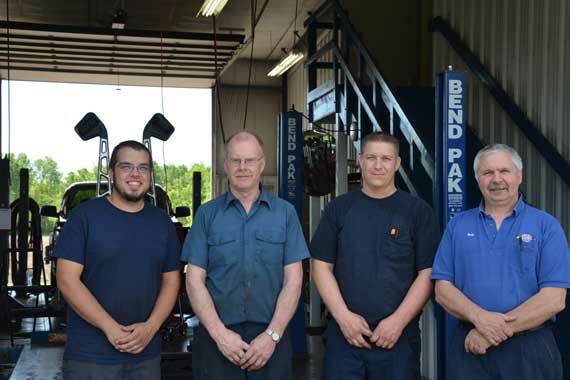 Today, Bob has been in the auto repair business for close to 40 years, and he and his team have seen—and fixed—just about everything. I love talking with our customers, and helping to solve their vehicle problems.